The India Meteorological Department (IMD) on Tuesday called the formation of the two very severe cyclones—Titli and Luban—on two sides of the Indian mainland as ‘rarest of rare’ occurrences. The IMD also said the movement of both these storms was unique. While Titli changed its direction and moved towards the northeast after making a landfall, Luban too kept going in different directions over the 9 days that it travelled through the south-eastern Arabian Sea towards Yemen and Oman on the Gulf coast and then made landfall on October 13. Titli, brought with itself, strong winds, torrents of rain and a metre high storm surge which inundated the coastal areas. While the IMD said it was because of their warnings that the loss could be minimized, cyclone Titli and the ensuing flood caused more devastation in Odisha and Andhra Pradesh than expected. Moreover, the political parties in the opposition in Odisha have accused the government of being ill prepared to handle the situation. The United Nations secretary general Antonio Guterres also expressed concern over the lives lost in the cyclone. The storm affected 16 out of the 30 districts in Odisha. More than 5.7 million people across 7,402 villages were affected, says the situation report prepared by Odisha’s special relief commissioner’s office. While the media reports say that 27 people died in the cyclone, the situation report mentions 18 as the death toll for one landslide incident. The landslide occurred in a tribal village called Baraghara in Gajapati district which is home to 74 families. The report mentions that when cyclone warnings were issued in the village by officials, 61 families moved out, but 13 did not budge. When a landslide occurred at 1am on October 11, 18 people died. The state has also seen immense infrastructural damage, which highlights the long-term economic loss that accompanies natural disasters. The storm damaged more than 20,000 houses. It also destructed several bridges, culverts, embankments and roads in the state. This will impact livelihoods as around 0.75 million livestock died and crops on 0.58 million-acre land were destroyed. The fishing industry also lost 300 boats, 473 nets, 607 fish ponds, 69 fish seed farms and 14.66-hectare fish farms. Andhra Pradesh also faced considerable losses because of the cyclone. Nine people had died in the state till October 15, while one was injured and one fisherman was missing. The devastation was restricted to the two districts of Srikakulam and Vizianagaram in the state. The total affected population was almost 12.5 lakh spread across 872 villages and 40,000 houses worth more than Rs 400 crore were destroyed by cyclone Titli. In Srikakulam, people are still facing problems in the affected areas as electricity in more than 57 per cent of the villages is yet to be restored. Crops in 4 lakh hectares of land have been destroyed in Srikakulam district, 97 per cent of which is paddy. Around 2,500 acres were also destroyed in Vizianagaram. Farmers are staring at trying times ahead as the loss due to crop damages is pegged at a massive Rs 800 crore. The horticultural sector has also made significant losses to the tune of Rs 1,000 crore due to the cyclone. Cashew and coconut plantations, which were considered long-term sources of livelihood for the farmers, have seen the most severe damage in Srikakulam district. 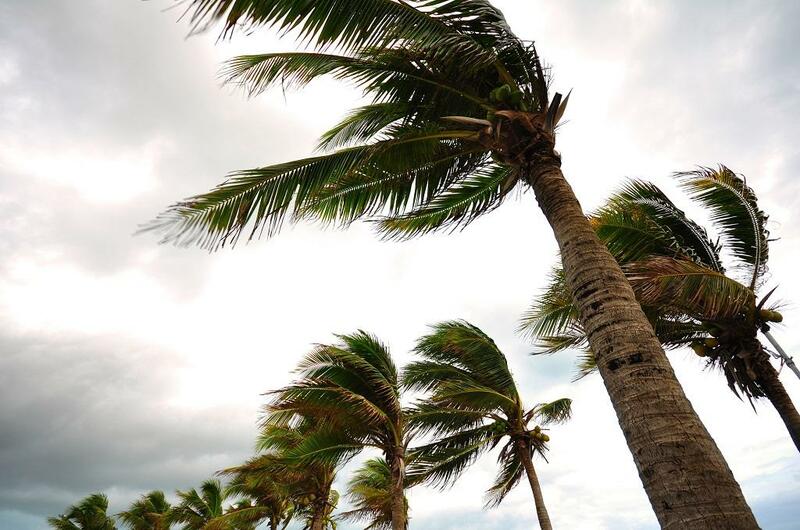 Cashew trees in 44,500 acres and coconut trees in 34,600 acres have been destroyed by the cyclone.